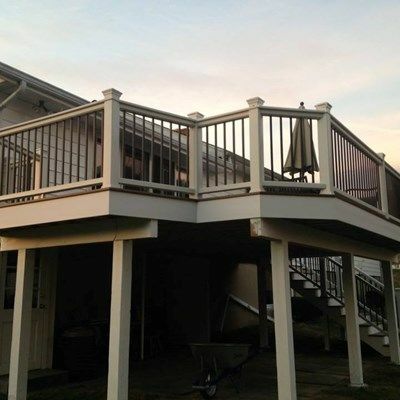 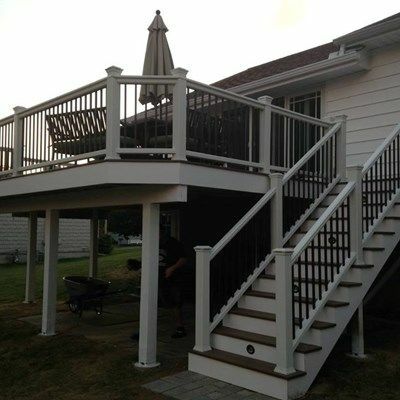 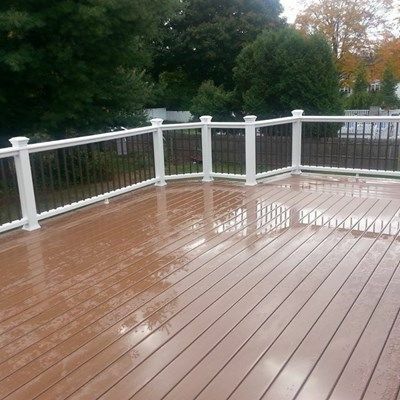 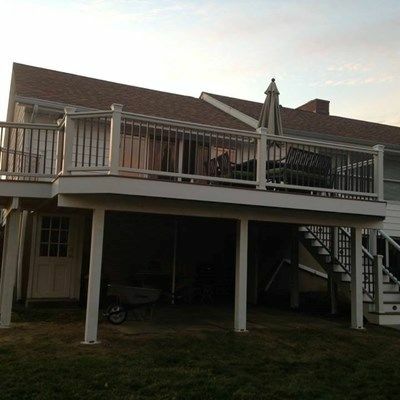 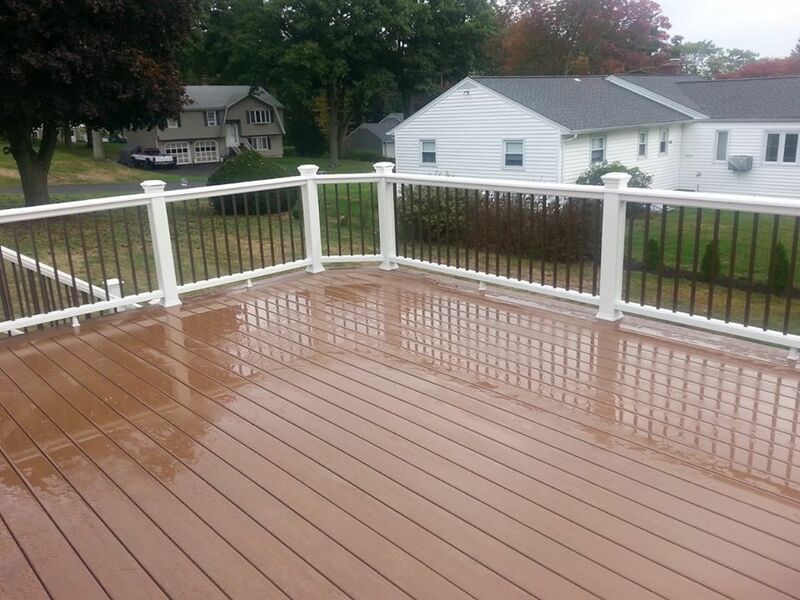 Beautiful looking deck in Trumbull with nicely designed angled corners and a way cool grill bump out! 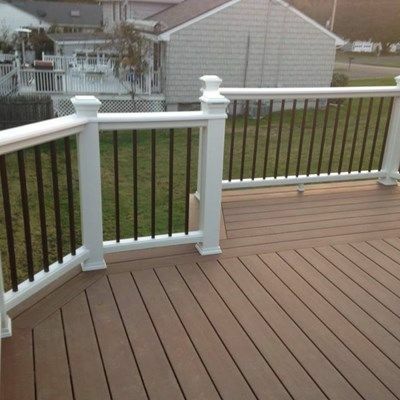 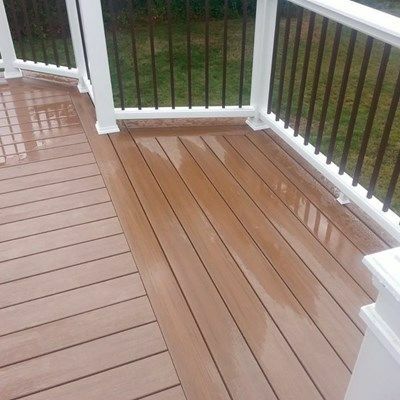 Products utilized here are Azek PVC decking in Acacia color with Azek White PVC trim throughout. 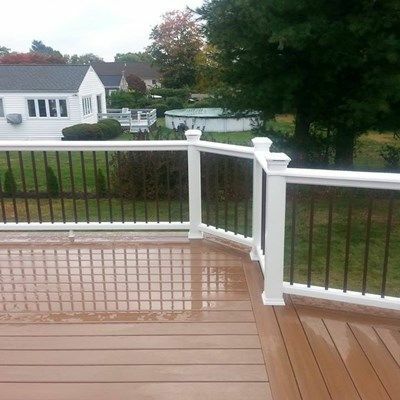 The railings are Trex Transcends that we customized a chamfered 5/4" thick PVC top rail and bronze aluminum balusters. 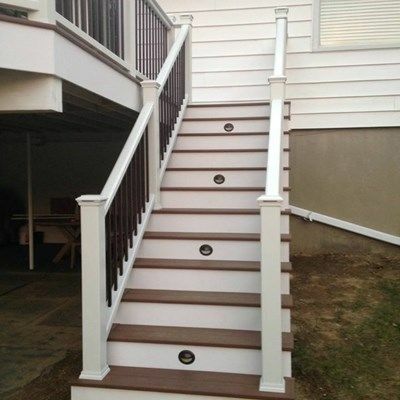 Also included inthis project are a combination of Trex post cap lighting and Highpoint riser lighting.